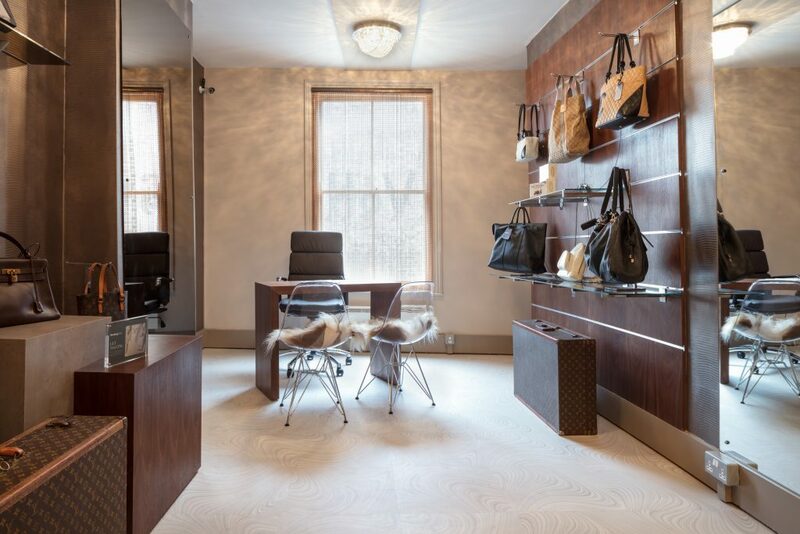 High design luxury vinyl tile flooring from Polyflor’s Expona Commercial collection was recently chosen as part of a sophisticated and stylish interior design scheme for Handbag Clinic in Islington, London. 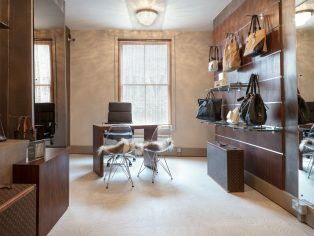 Handbag Clinic specialises in the care, repair and restoration of designer handbags and leather fashion accessories, as well as selling preowned luxury goods in their handbag boutique. The design scheme for the Islington branch refurbishment was created by Aubury Design, a Newcastle-based interior design service. Expona Commercial luxury vinyl tiles in the Crème Swirl design were selected for the shop floor area. The subtle Crème Swirl design from the Abstract effects collection within Expona Commercial has high end design appeal, complementing the store interior and the luxury handbags on display. The same design was also installed in the Newcastle branch of Handbag Clinic. With a 2.5mm gauge and 0.55 wear layer, the Expona Commercial range features a total of 55 high-design wood, stone and abstract effects which are ideal for use in the retail sector and other heavy commercial environments where there is likely to be a high level of foot traffic. This product’s robust polyurethane reinforcement (PUR) is cross linked and UV cured to provide superior cleaning benefits and a simple maintenance regime.